After all those Polar Bear images I’ve posted during the last days a bit a different view on the Arctic. Late summer season, the sun starts to set again, for the first time in almost 4 months. This gives really nice colours to the sky and also to the water, especially when it’s as calm as here. It’s always fun to spent some time on deck taking pictures of flying Fulmars. 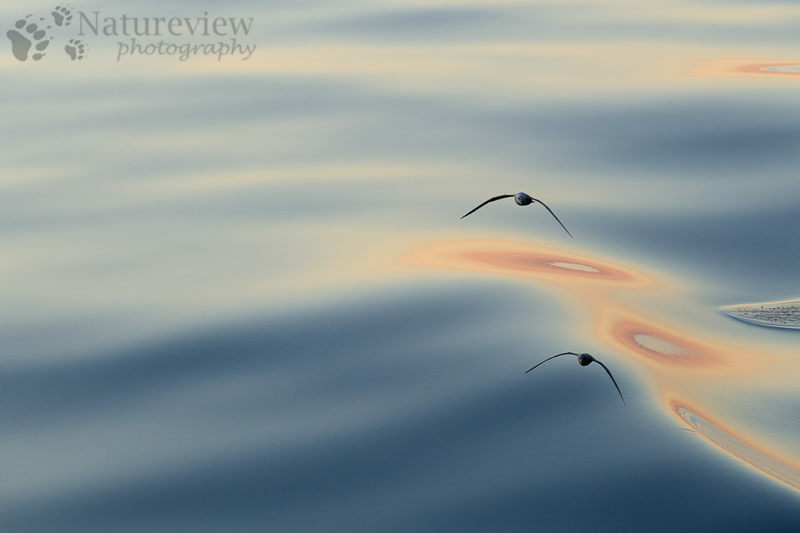 Their reflection on the sea, long shutter speed to capture the movement, or just two birds flying together as here. This year I’ve spent a bit longer practicing as I wanted to prepare myself for the petrels, shearwaters and albatrosses of the Southern Ocean this winter. Who know, maybe I can take a picture like this winter with two Wandering Albatrosses? But for now, I’m really happy with this one.